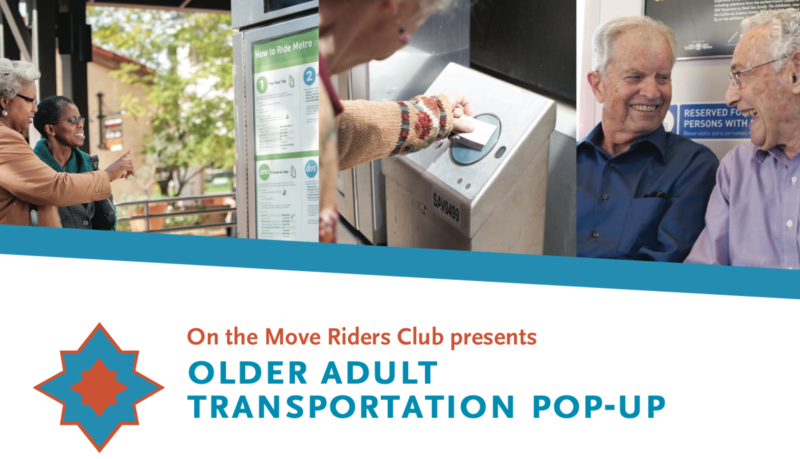 Metro’s On the Move Riders Program is hosting an Older Adult Transportation Pop-Up on Tuesday, Sept. 25, from 12:30 p.m. to 2:30 p.m. at the Pasadena Senior Center. The event is designed to provide older adults with information and resources to learn how to safely and independently travel on fixed route transportation. An informational presentation is slated to begin promptly at 12:30 p.m. with attendees to learn about the benefits of riding transit, fun destinations, safety tips and more. The Pasadena Senior Center is located next to the Gold Line Memorial Park Station. It is also served by Metro Bus, Foothill Transit and Pasadena Transit. For more information or to RSVP, please contact Jacob Lopez at 213.922.1359 or email LopezJ12@metro.net. Romance on the rails — she said yes! Will seniors be able to apply for a “Senior TAP Card” for free here?